This year, we traveled down the Konkan coast with a greater sense of purpose. Our ongoing work in Mumbai indicated that the city’s connections with this long strip of coastal, hilly terrain, stretching from the metropolis and going all the way down to Mangalore, were old and deep. As we observed the circulation of people and goods along the coast, it became increasingly apparent that the story of India’s urban formations was intimately tied to such movements. The Mobile Lives Forum in Paris, encouraged us to continue exploring these thoughts, which became the basis of a six month preliminary study of the relationship of Mumbai to the Konkan Railway and the urban systems that it spawned. These systems cover areas that go beyond the city’s formal territory. We understand them as networks of habitats, both rural and urban, that are connected to each other through regular movements of goods and people. The Konkan connection to Mumbai is only part of a larger universe in which the city’s force of gravity pulls together many other such regions. 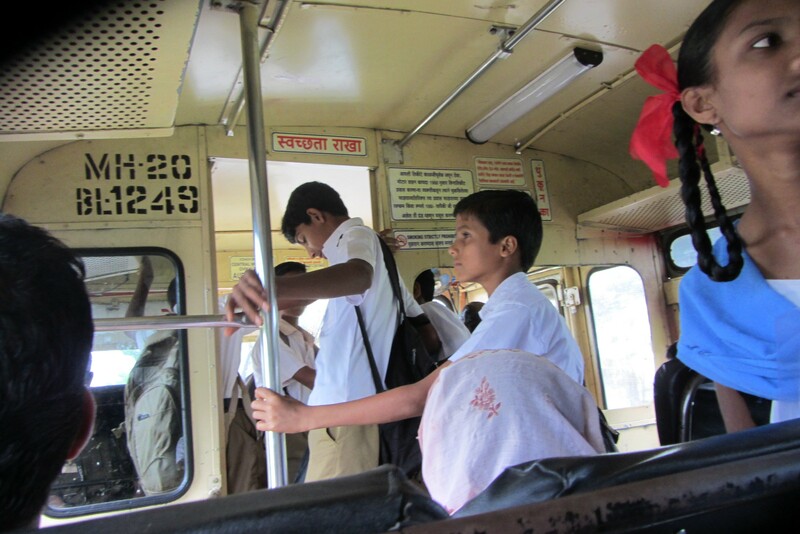 These follow various migratory patterns, connecting Mumbai to places all over the country from where it sources its human capital. Such movements create distinct patterns of habitats, both within the city and in places far away from it, eventually forming a common world of shared finances and transformed cultural ties. The Indian railways have played a major connecting role in this process. Its cost – effective nature allows millions of people to develop and maintain long distance ties, thus considerably modifying the urbanization process from a one-way channel into a multi-directional flow. The fourteen year old Konkan railway network is a recent entry into this story of circulatory urbanism. 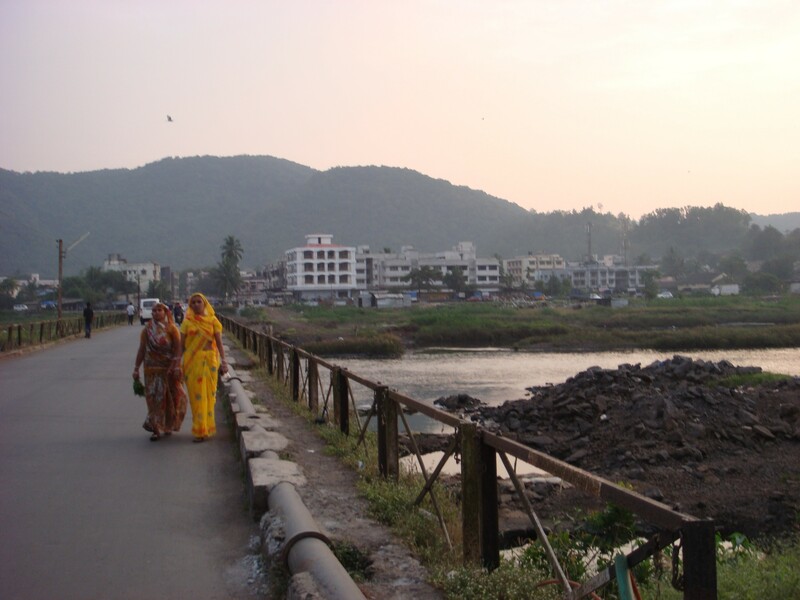 However, the energies of the Konkan urban systems that it harnesses are older. These relied on steamer boats for more than a century to transport people to the city. In fact, the formation of the railway itself was a wish fulfillment of the city s sizable workforce who belonged to this region. The only reason the railways could not be built earlier was because engineering techniques of old could not penetrate its difficult terrain. During its absence, the steamers did a commendable job allowing people to go back and forth, for festivals, family rituals and for partaking in agricultural work in villages, which supplemented their urban incomes. If anything at all the Konkan railway has only enhanced the process. We documented the movement of passengers and goods in six stations, Roha, Chiplun, Ratnagiri, ( Maharshtra), Thivim (Goa), Udupi and Managlore (Karnataka). The movements of 75 – 90 passengers per station, was mapped out showing points of origins, departures, reasons for and frequency of travel. All these 450 odd routes were mapped and tabulated. Along with these, we explored each of the towns, traveled to villages around them, spoke to local businessmen, shopkeepers, teachers, builders, homemakers, students, politicians and children. Conversations revolved around the railways, on the role of Mumbai in their lives, the presence of other urban centers that had shaped the region including Dubai and the middle-east, the coming of migrants from far off regions to set up shops or homes in small coastal towns, and about long-time Mumbai residents who belong to the region and are reinvesting in homes back in the village of origin. We saw for ourselves the future of urban India as reflected in the growing, dynamic experiences of small towns (big enough by European and American demographic standards) appreciating how deeply connected they were, in a lively, everyday sense, to the dense countryside, scattered with villages – all of them changing and transforming each other. a) The connections between Mumbai and all these six nodes remains as strong as ever. The movement of people and goods reveal stable systems of circulation and exchange. People from Mumbai who originally belonged to these towns are investing in their older histories through business and real estate. 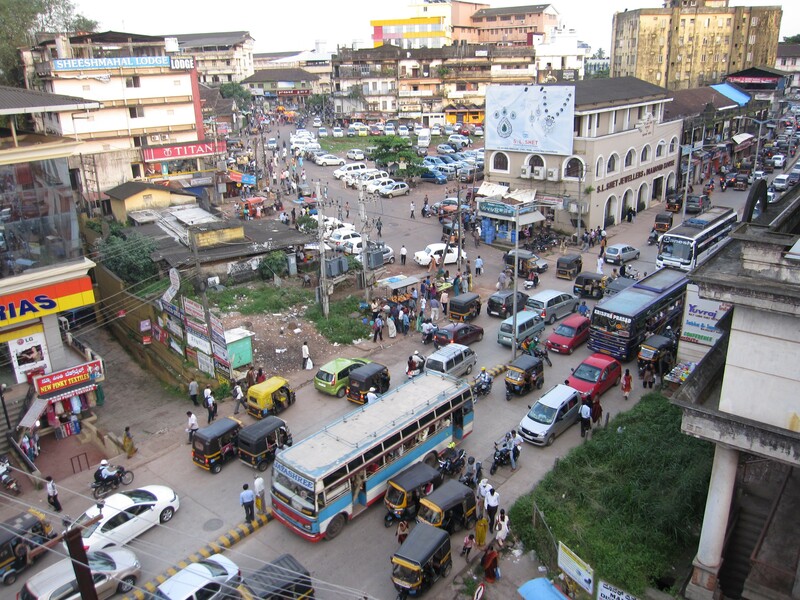 Conversely, enhanced connectivity actually gives many people the choice of not moving to Mumbai, but traveling to the metropolis only for strategic purposes. What is undeniable is that the city continues to be a huge economic presence in the life of the region. What is equally true is that the region is not dependent on the city for permanent habitation but has several choices of its own to provide. b) At present the Konkan railway serves a linear route, in which it sees itself as a missing link in the larger chain of the Indian railways. 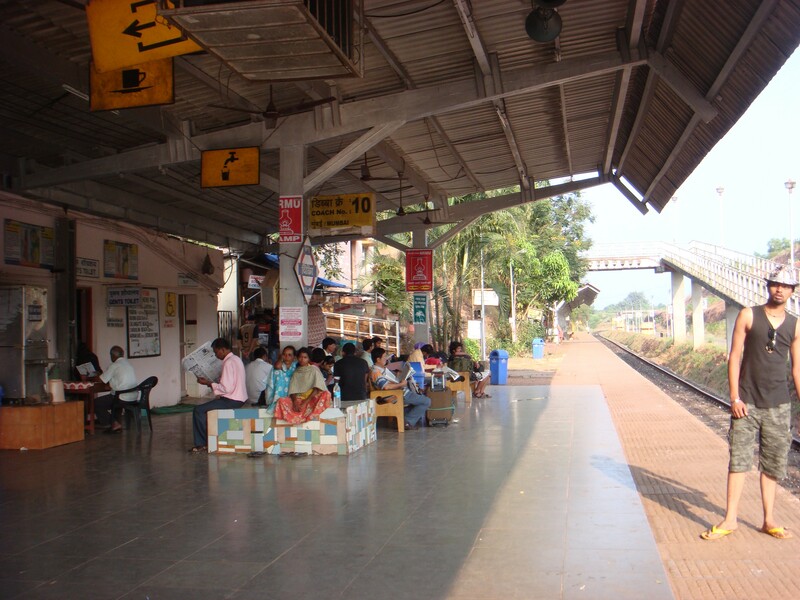 However, the railway stations and towns on the Konkan routes have greater local potential. They can be seen as nodes on urban systems that spread from each town and station, going deep into the countryside. These multi-directional flows of transport routes connecting villages to towns on an everyday basis indicate that the railways can be more effectively employed to serve local urban systems comprising of networks of villages and towns and thus generate complementary revenue for the railway company. All these findings hint at a deeper plot in the story of urban formation in India. 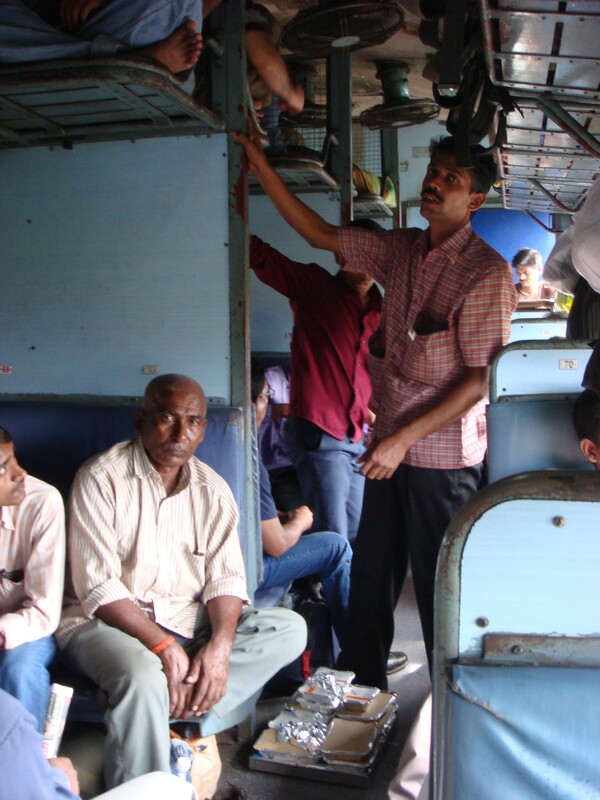 The railways continue to play a pivotal role in the lives of millions of Indians who live in its cities. Many of them live in places that are considered to be inappropriate urban habitats on two grounds – legality of tenure or quality of construction. Either way, these very factors make them cheap temporary alternatives, till the time the resident makes his or her way up the ladder of economic and political stability, which is not as smooth and quick a process as one would like it to be. In the mean time, the village back home continues to be a huge support system, a source of social security which provides a sense of belonging that is not so easily erased by a new urban location. The means of keeping this relationship alive is a cheap and relatively comfortable mode of transport, the railways, that connects people across thousands of miles. It creates a more layered sense of belonging that does not get easily fixed into urban and rural straightjackets and demands an understanding of urban formation in India that transcends them.